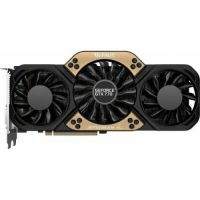 PALIT GTX770 JETSTREAM 2G GD5 - цена. The Palit Jetstream 風series of graphics cards features innovative cooling and an optimized product design to deliver gamers the ultimate gaming experience. As the latest and most powerful GPU in the series, the Palit GeForce® GTX 770 Jetstream guarantees gamers cutting-edge performance and an explosive new gaming experience.